Children burst with energy, but without food to nourish and replenish them, they will become tired and lethargic. They often turn to junk foods for their snacks, but these do not give them the nutrition that they need. Nutritious snacks can also be delicious and enjoyable for kids on the go, as well as simple to prepare. 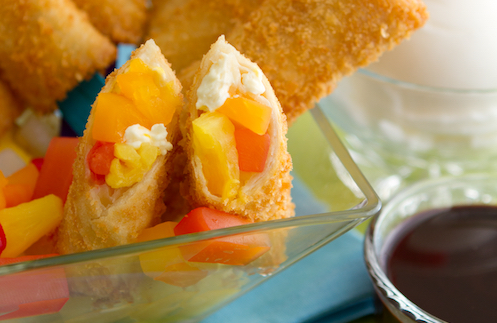 Here are some tasty munchies made from Del Monte Fiesta Fruit Cocktail that can help keep their energy and spirits high as they work and play in school all day. 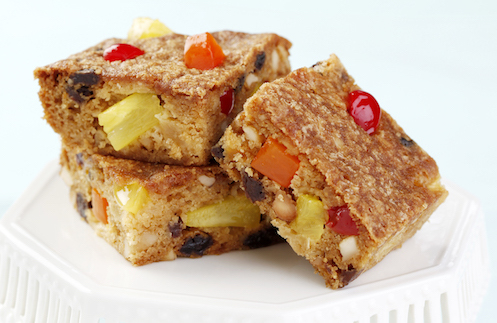 A fusion of zesty, fruity, creamy, and crunchy, this snack is packed with nutrients. It's also convenient for them to eat whenever they get hungry between meals. Aside from vitamins and minerals from the fruits, the dough is a good source of carbohydrates. So each bite of this delicious pastry is chock-full of energy and flavor. 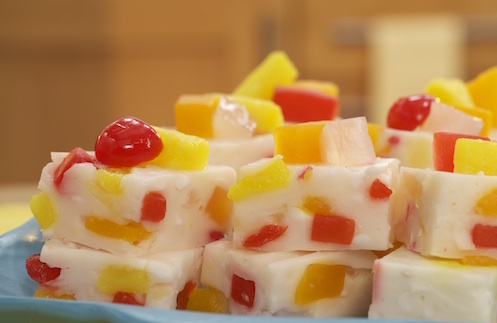 This delightful twist on the traditional Maja Blanca makes an exciting-looking and delicious-tasting treat. Aside from the rich mix of vitamins and minerals that your kids can get, this snack also has calcium to help keep their bones strong for their active sports and school activities! For more fruity snack ideas, subscribe to the Life Gets Better newsletter today!